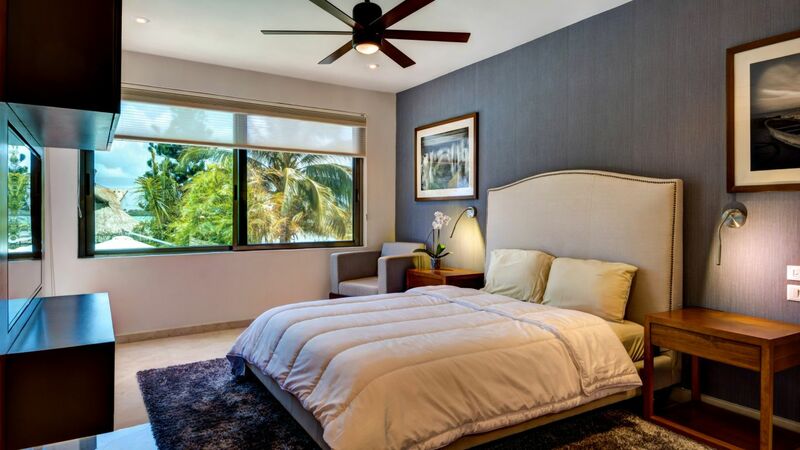 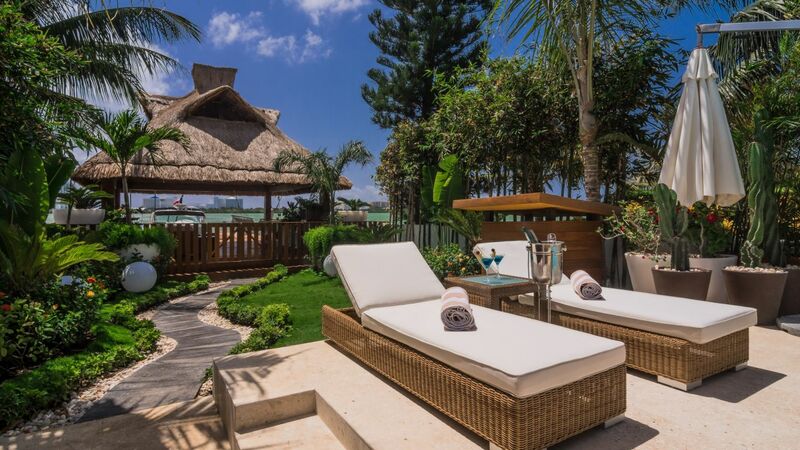 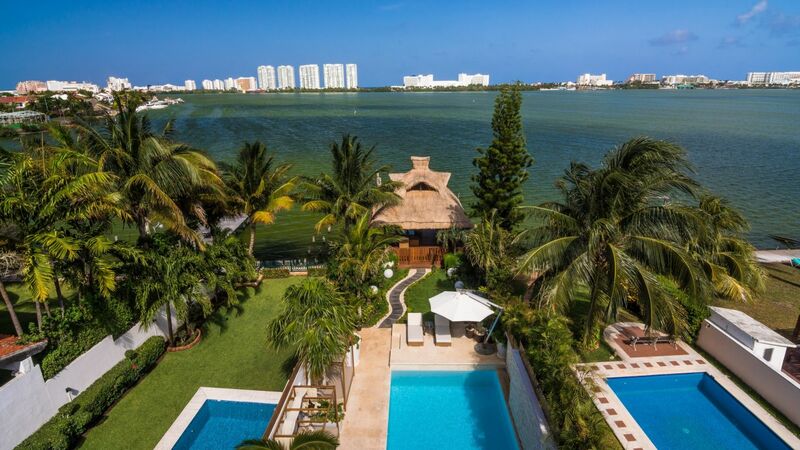 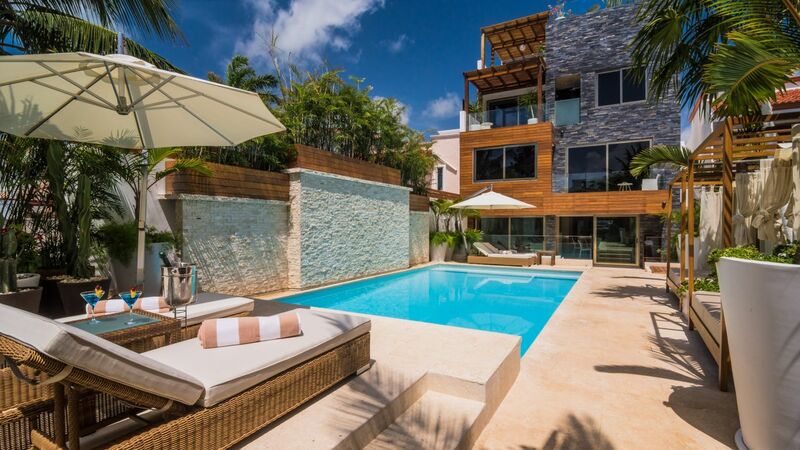 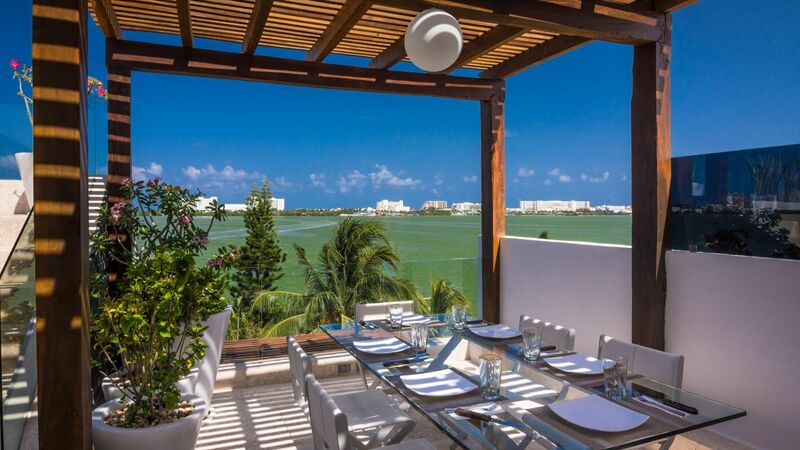 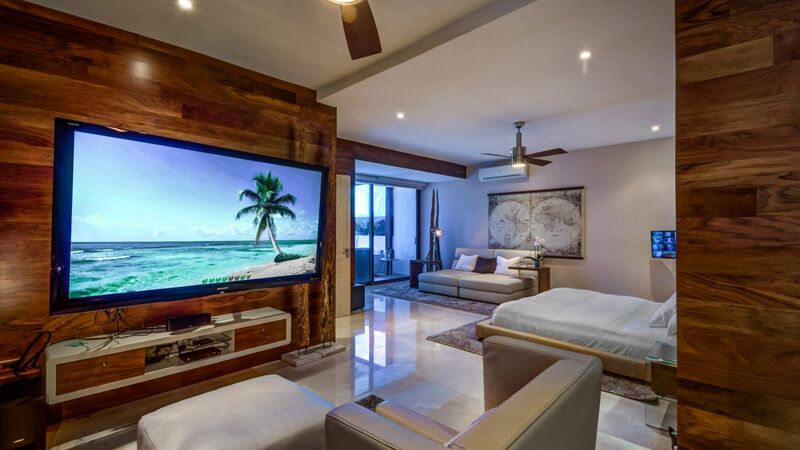 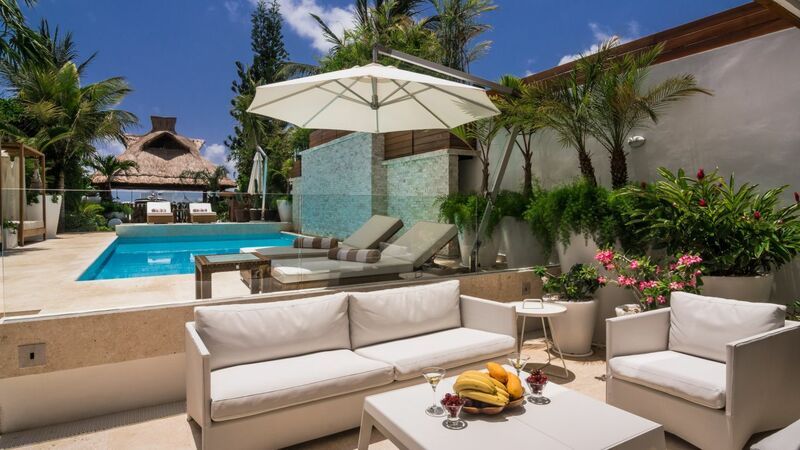 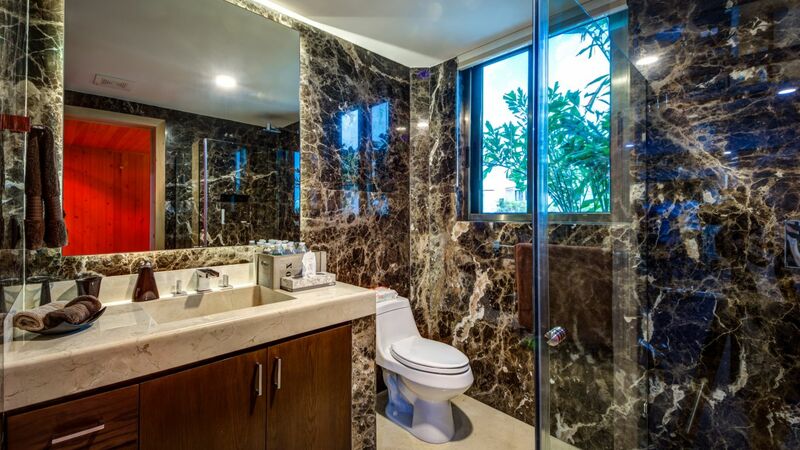 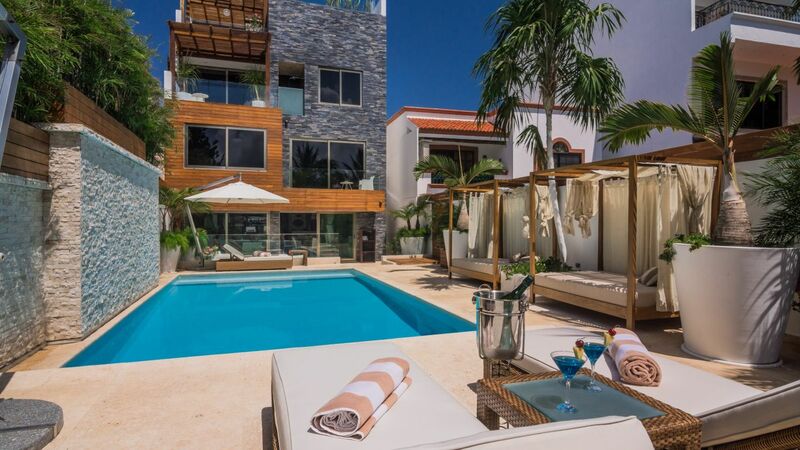 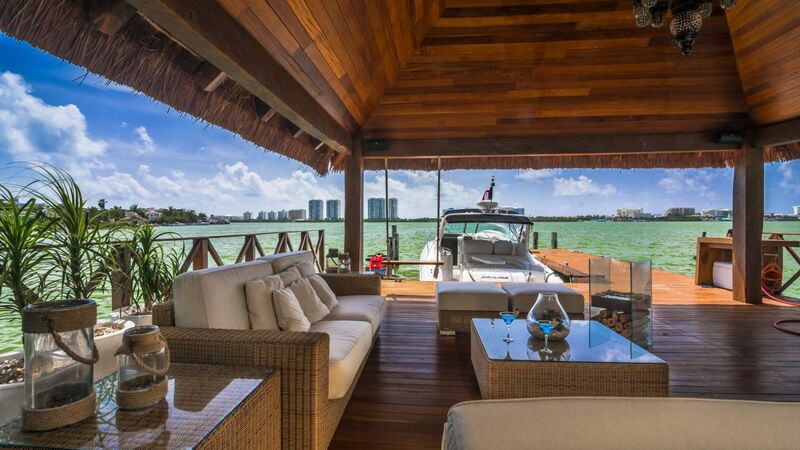 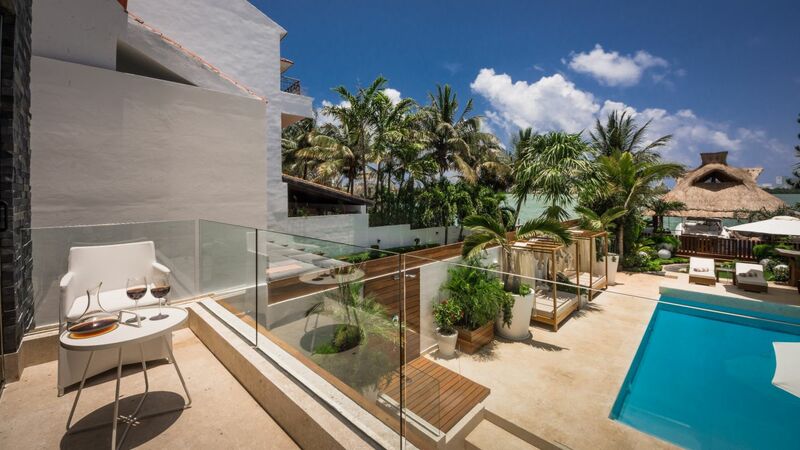 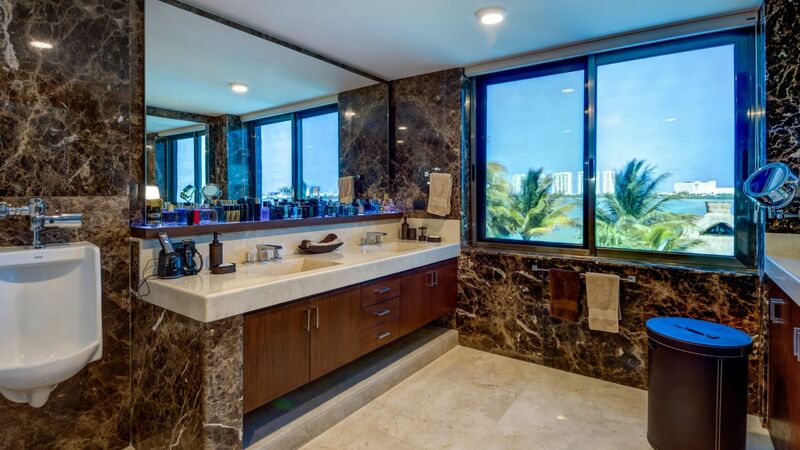 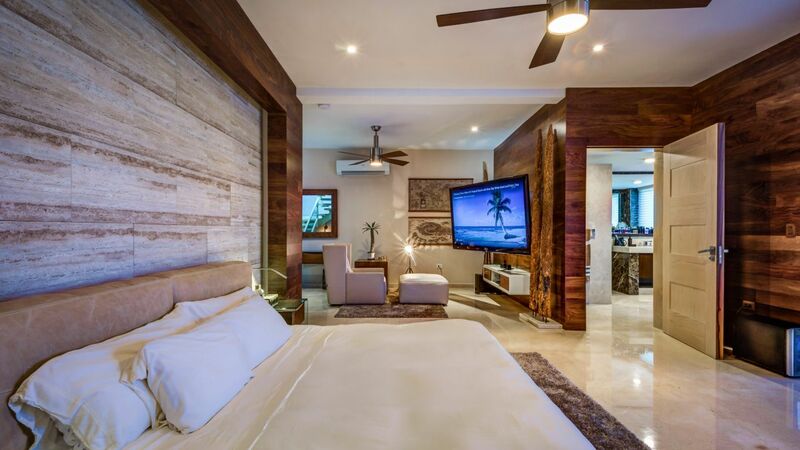 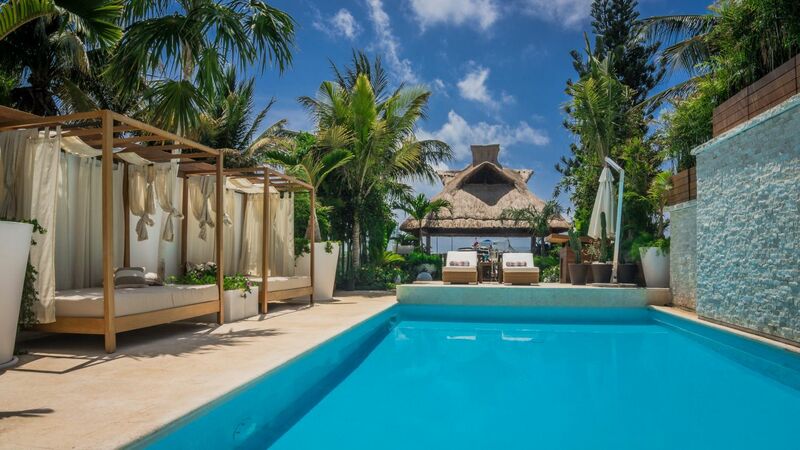 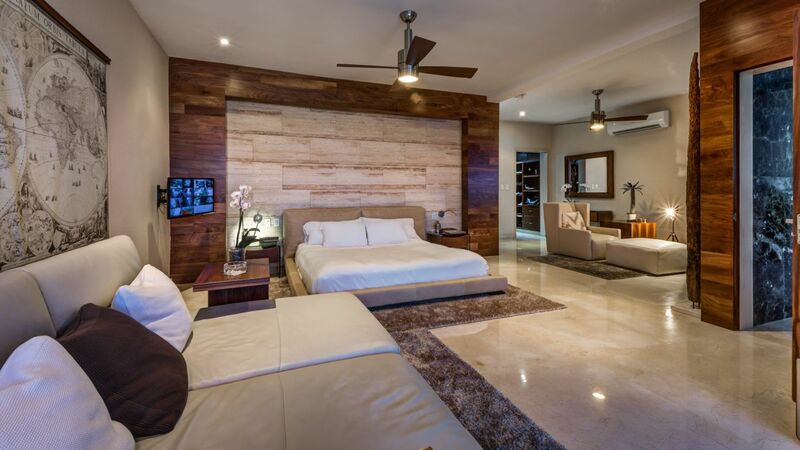 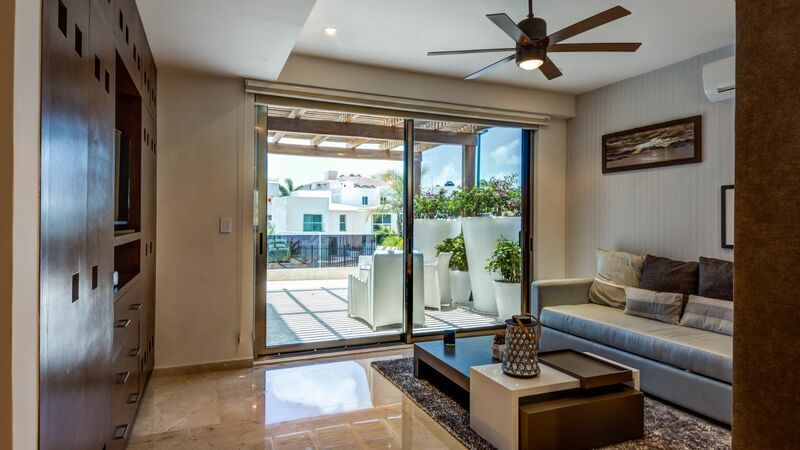 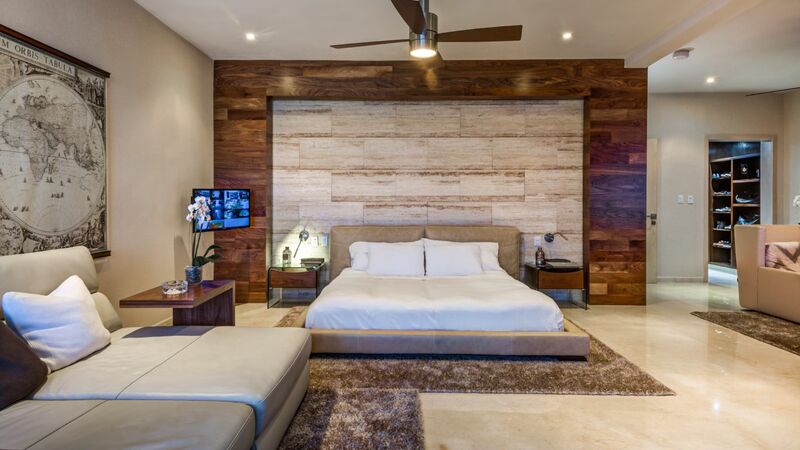 Villa Tiona is a luxurious 4 bedroom 6.5 bath waterfront villa located in the sought after hotel zone is a dream home in a high-end community that's home to the Cancun Golf Club. 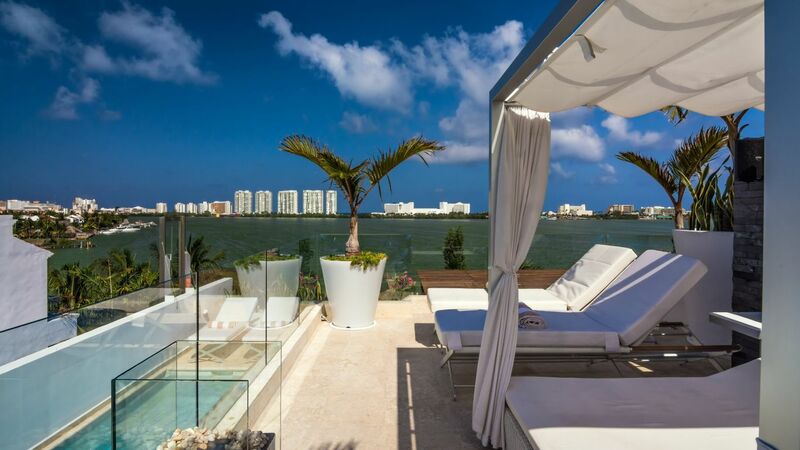 The final space of the home, which is arguably the best feature, is the rooftop, which has 3 levels. 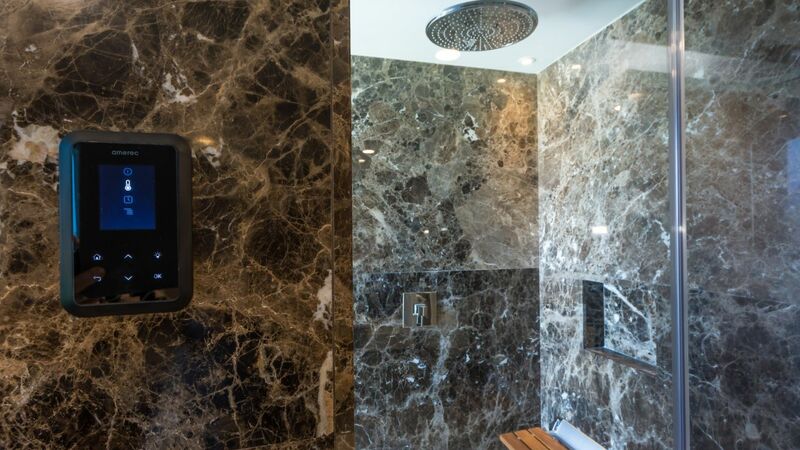 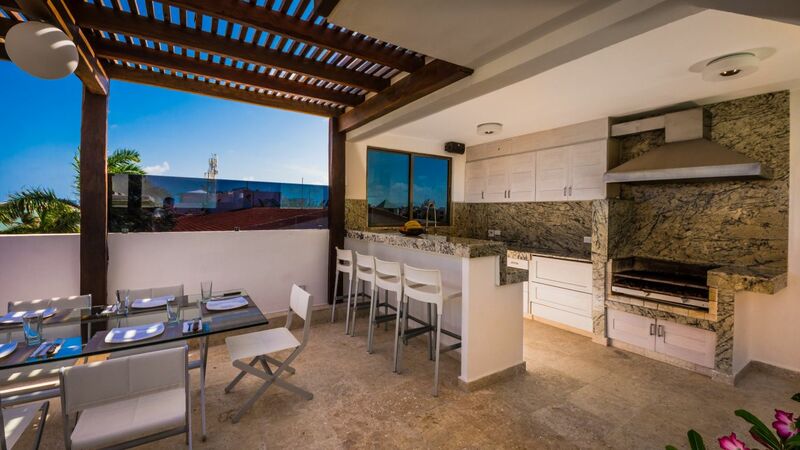 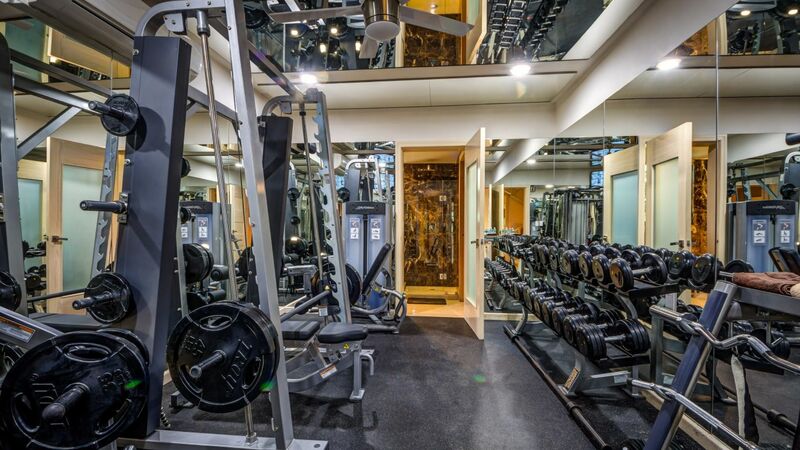 The first level features a covered outdoor kitchen and eating area, full bathroom and drying off area. 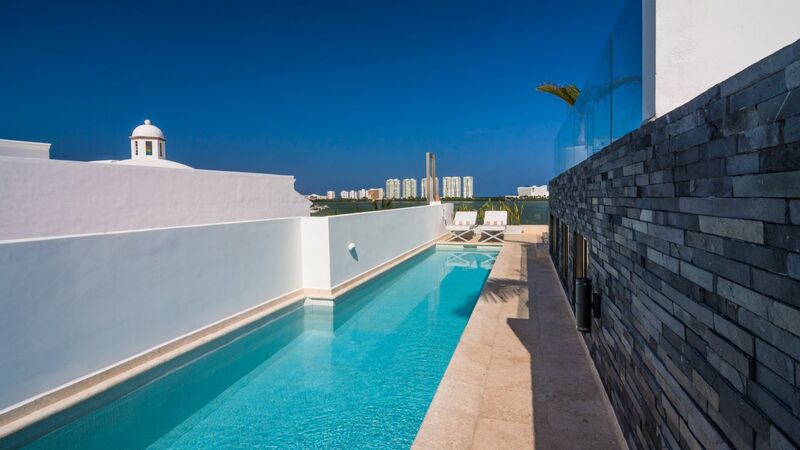 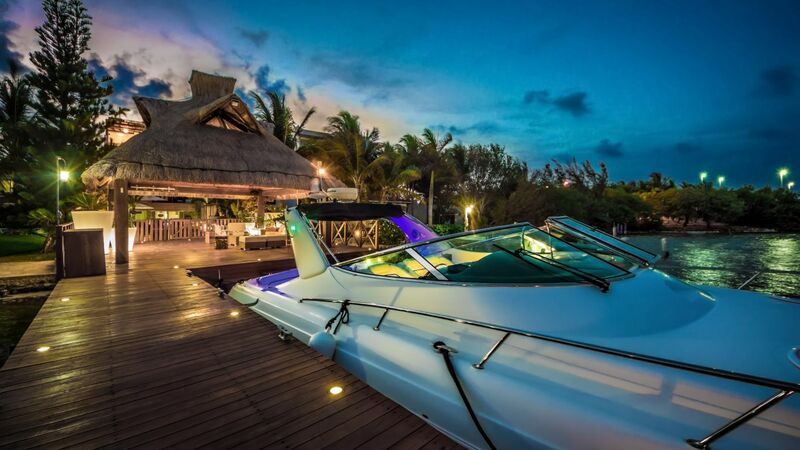 The second level of the rooftop features a lap pool from which stretches the length of the home and a lounge area. 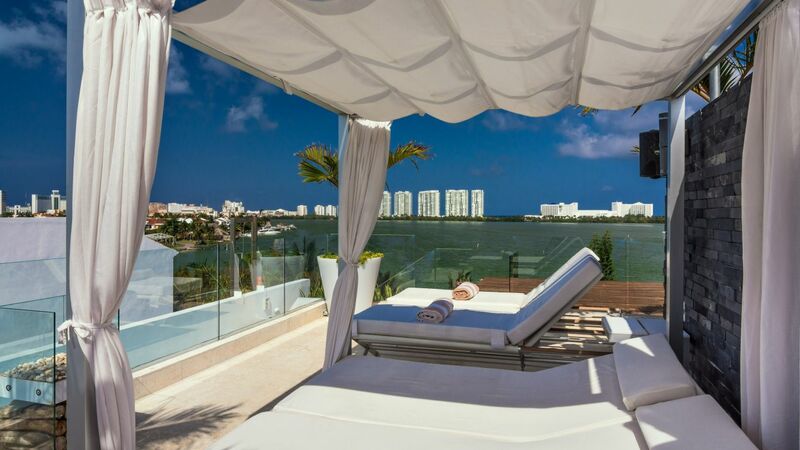 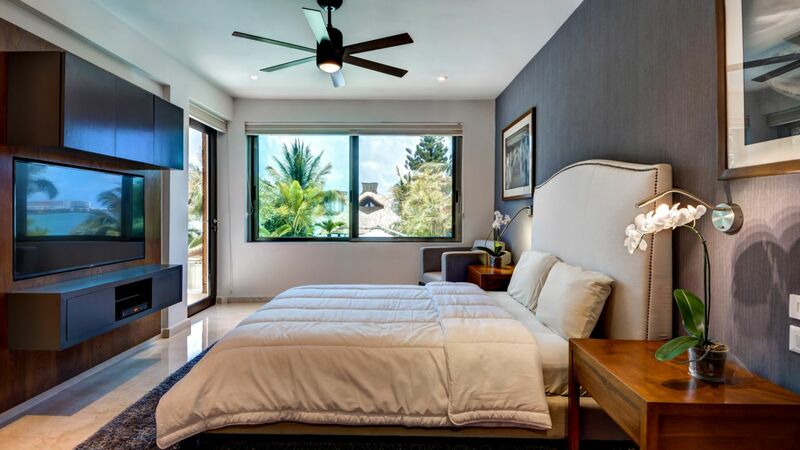 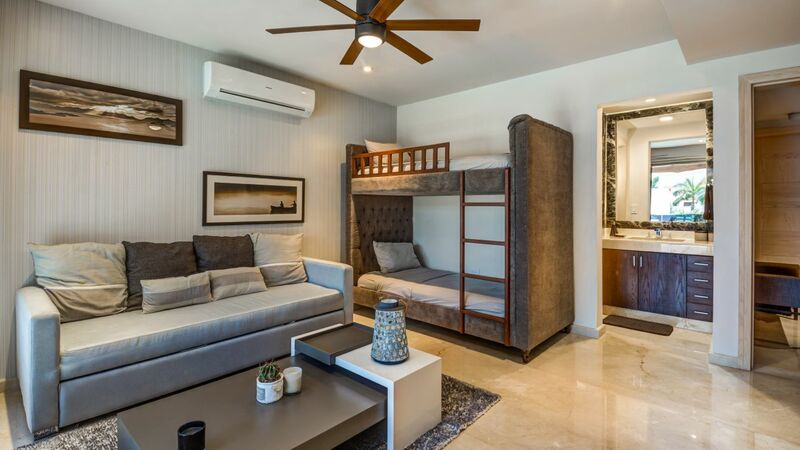 The final level features an imported custom built day bed with 360-degree views of the entire hotel zone including the golf course, lagoon, ocean and the city skyline which is truly breathtaking.